So, we just got back from Las Vegas for a wedding, and man, does Vegas take it out of you! 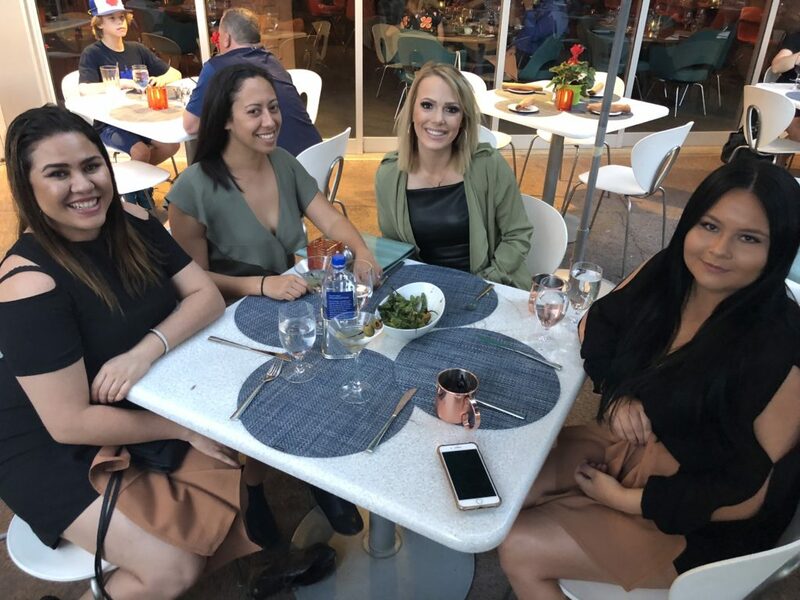 Some of my girlfriends came back to Arizona with me after the trip, and we decided to do a something relaxing for a night while they were here, to unwind and get some much-needed rest after our trip. 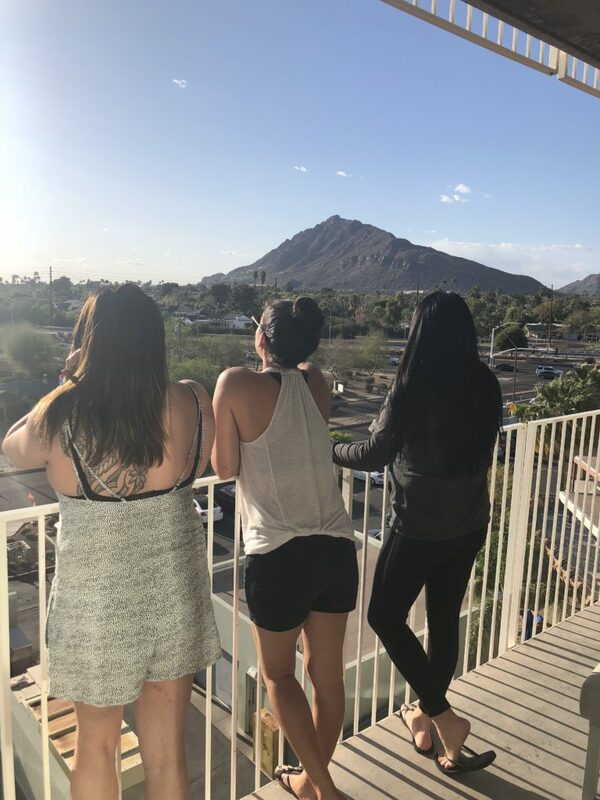 We decided on a Hotel Valley Ho Scottsdale staycation, and it was the best idea ever! 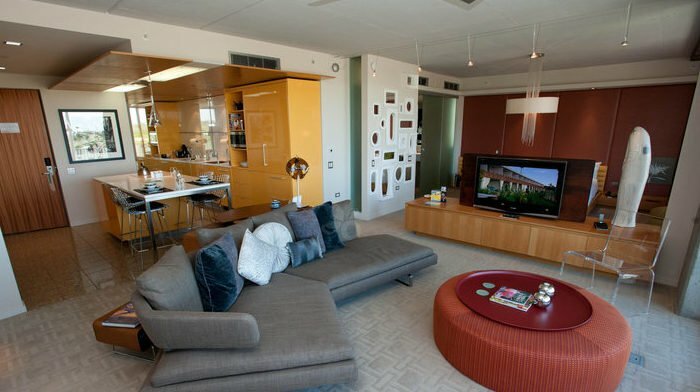 I had been to Hotel Valley Ho Scottsdale before, and loved it. It has such a great atmosphere, and the location is so close to Old Town Scottsdale, but far enough away that it is quiet and not surrounded by the hustle and late night crowds. 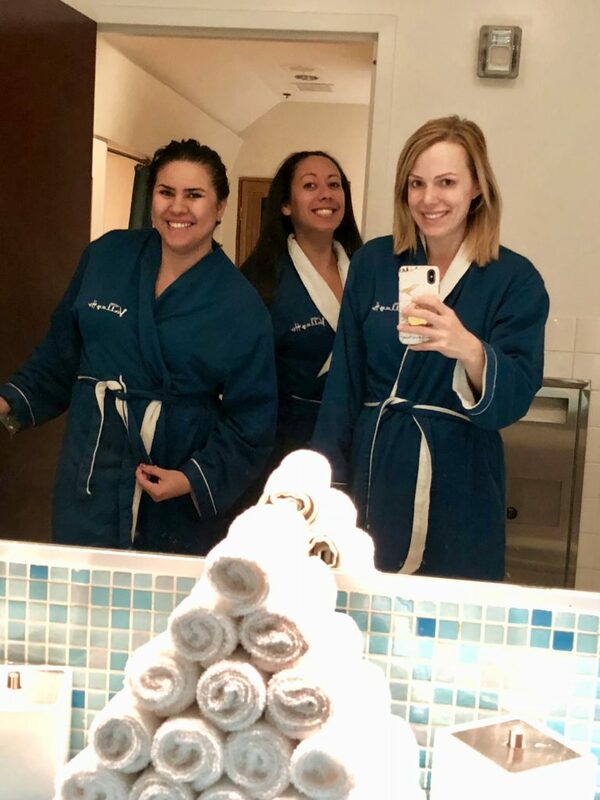 We got to enjoy and try out a ton of their amenities while we were there, and of course, I had to share about our fabulous Hotel Valley Ho staycation with you all in case you live in the area or are visiting. *Hotel Valley Ho hosted our stay. This post was done in collaboration with them. All opinions and thoughts on this venue are my own. The first thing we did upon arrival was (obviously) check out the rooms. We stayed in one of the tower rooms (the two-bedroom suite) that they have and it was beautiful! The views are amazing, and the rooms themselves were done so nicely. We had dinner at Zuzu’s, which is their on location restaurant. We also ordered breakfast there the next morning. The food is outstanding, and all of their staff are so friendly and sweet. 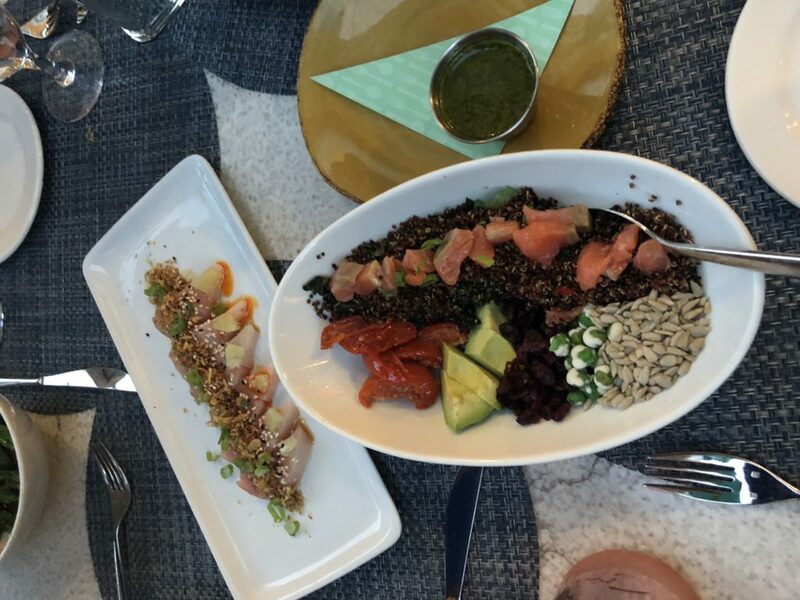 Honestly, it was one of the best restaurant experiences that I have had, and I give all of the credit to their wait staff and chef, because the food is phenomenal! 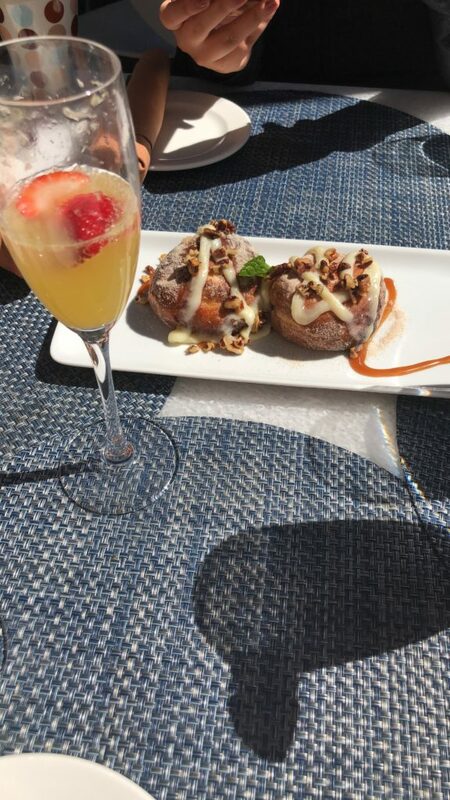 We, of course, had to check out their selection of cocktails, and mimosas in the morning. Their “Show Stopper” Shakes are ridiculously good. The March flavor is cookies & cream, which we HAD to try. We also went to the spa, which I love. I have gone to the spa at Hotel Valley Ho Scottsdale before, and really enjoyed the experience. I received a facial, which was so relaxing and fabulous after being away in Las Vegas for half a week. The spa itself has a sauna and a really relaxing feel. They offer a lot of different services in the spa as well, including massages, facial services, body scrubs, and more. 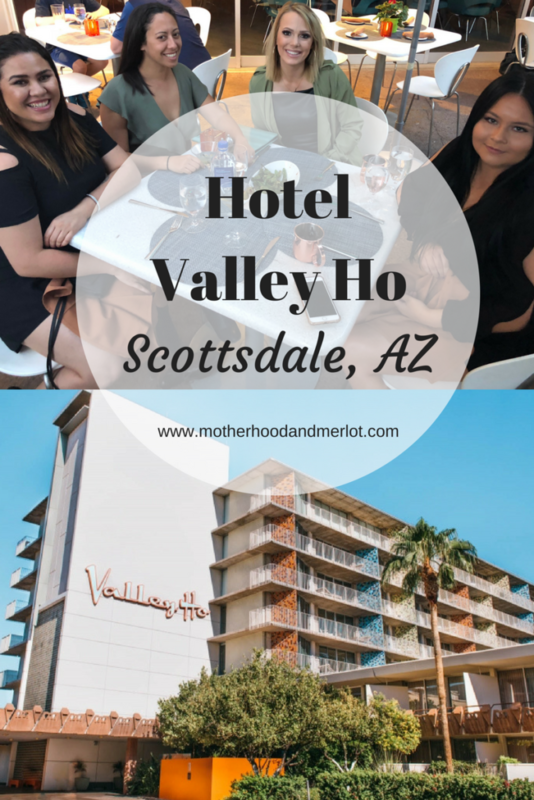 Make your reservations for Hotel Valley Ho Scottsdale here! Want more options for a staycation in Scottsdale? Check out this review of Mountain Shadows Resort. Girls weekends / staycations are the best! Could use one now!!! Looks amazing, with great views. That room is great! Thanks for sharing! Looks like a fun girl time. The room looks really nice and the food looks delicious. I bet the spa time was a great addition to your trip. My husband was in the Pheniox area in December for his business. He stopped in Scottsdale for couple hours. Wow, the room looks beautiful and the food looks amazing! Definitely will consider this hotel if I ever vacation out that way!